So, let me be honest. 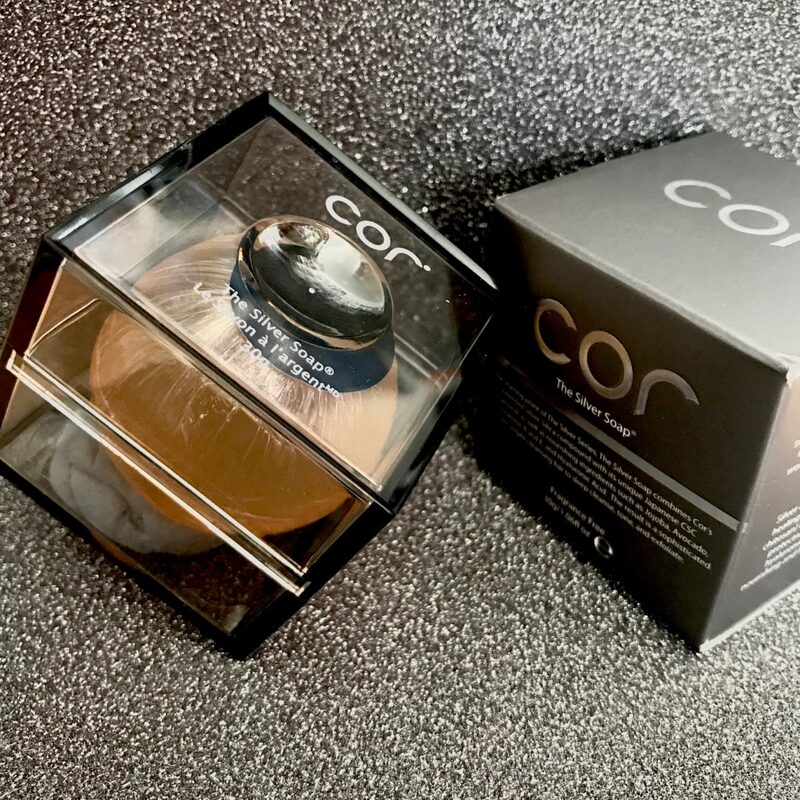 When I opened this little grey box with silver writing all I saw was another transparent box inside containing a small round glycerin looking ball of soap… I was like, seriously? This ball, which was the size of a large gobstopper, is £39. Is it meant to be a skin cleansing game changer… really? 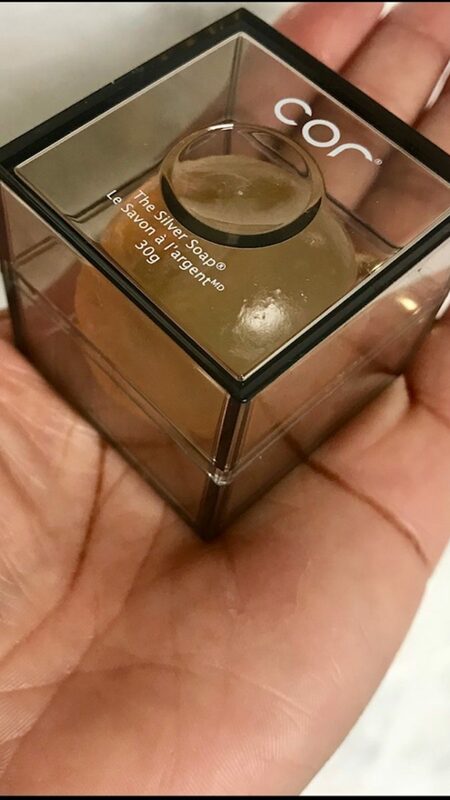 I mean yes, it does come in a slickly presented grey and silver box and yes, it does have its own transparent covered box that serves as a soap dish and I love that… but I was ever so slightly worried that perhaps they sent me the wrong size of the soap for my £39). Let me quickly say this. I know that in the era of facial washes, cleansing foams, bars, creams, oils and cleansing powders, a lot of you don’t wanna hear the word soap. But I would like you to hear me out and give this one a chance because to me, it’s been worth it. So, what’s the buzz about this? Well, it contains silver and silica which apparently work really well together. The silver kills bacteria and works as a healing agent. The silica acts like a facilitator, allowing the skin to absorb the silver and other nourishing ingredients. But that’s not all! 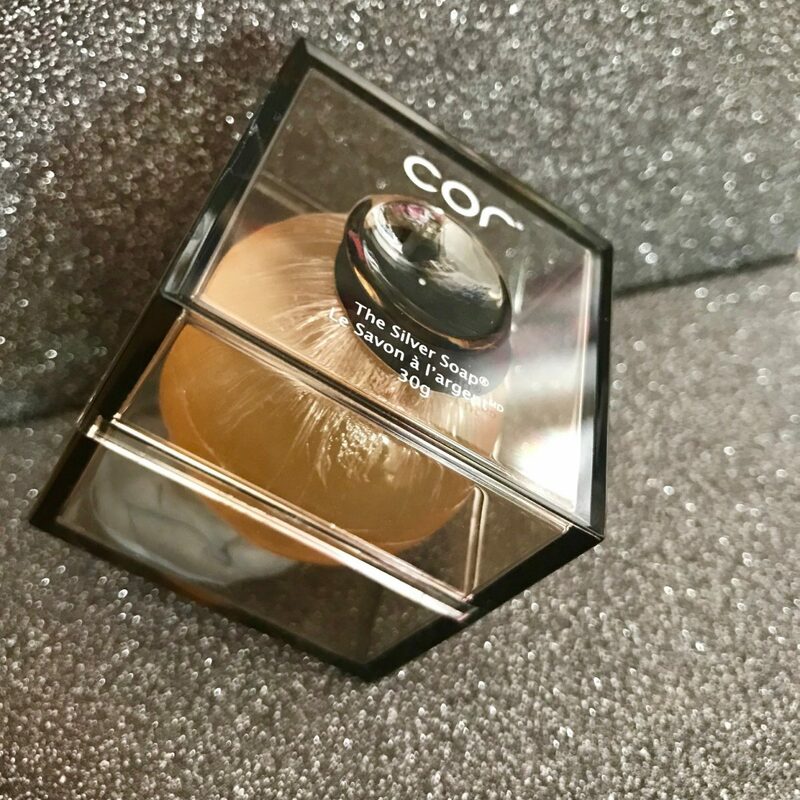 This little ball of magic also contains one of our favourite ingredients – you guessed it – hyaluronic acid, the ultimate hydrator. It also contains a healthy shot of collagen which we all need, along with avocado oil which is known for being rich in antioxidants, jojoba oil which is great for in-depth moisture and aloe, another great skin healer. Basically, you can cleanse your skin, you can exfoliate your skin, and you can hydrate your skin with this. It also removes makeup and promises to help even out skin tone and enlarged pores. Actually, you were told not to use a toner after using this soap as it will strip away the protective Sericin barrier that the soup provides. Wow! 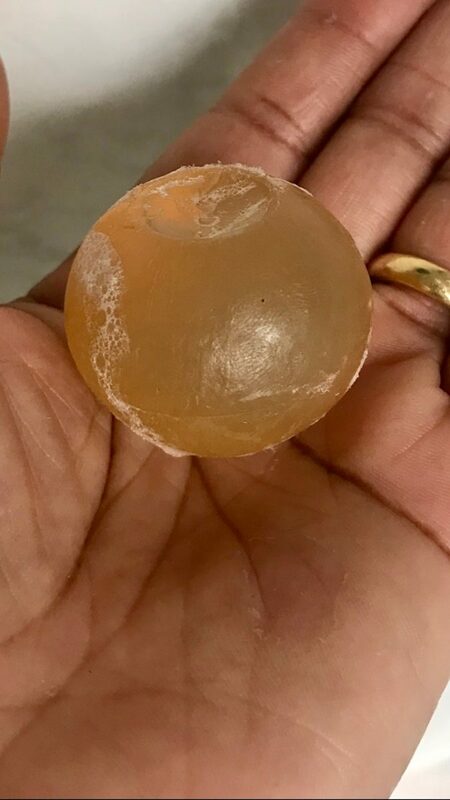 Take the ball of soap into your hands rubbing hands for about four or five seconds and then return the ball to its soap dish. Then rub your hands together and you’ll be amazed at how much lush creamy foam this makes. Apply to your face and then LEAVE IT. Don’t do anything to it … just leave it to sit for 2 minutes. At this stage, you could just there at yourself in the mirror for two minutes or you could be doing something more useful like getting in the shower. After two minutes just rinse it off (personally I use my muslin cloth with it and I’m amazed at how much debris comes off). Do not overuse stick to the guidelines. Do not use a toner. Keep it secured in its soapbox to protect against humidity. This should last three months. This provides a really deep clean. After a few uses, I noticed that the pores that were annoying me were less visible. My skin looks smooth and refined. It can do other things based on your skin’s needs, but this is what it does for me. Pre-cleanse like a pro with Dermalogica!